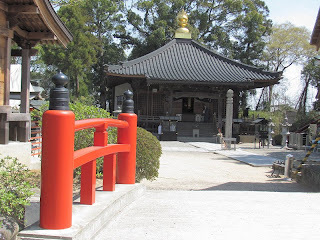 I did today's walk in reverse order starting at Jizoji and walking back to Ryozanji. 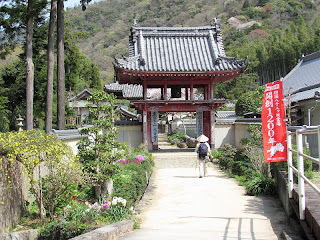 Here is the start of the walk at Jizoji. 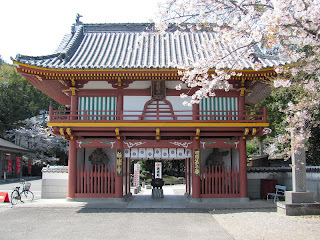 The beautiful main gate at Temple 4 known as Dainichiji. 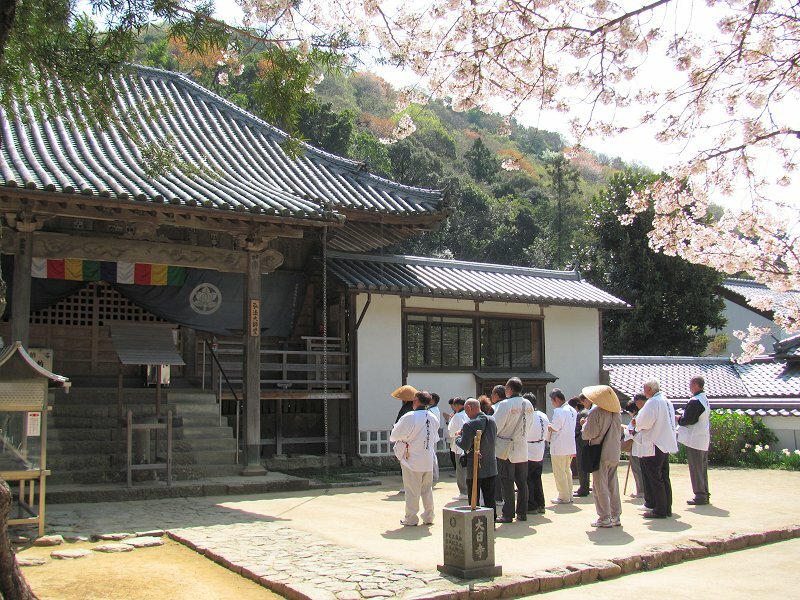 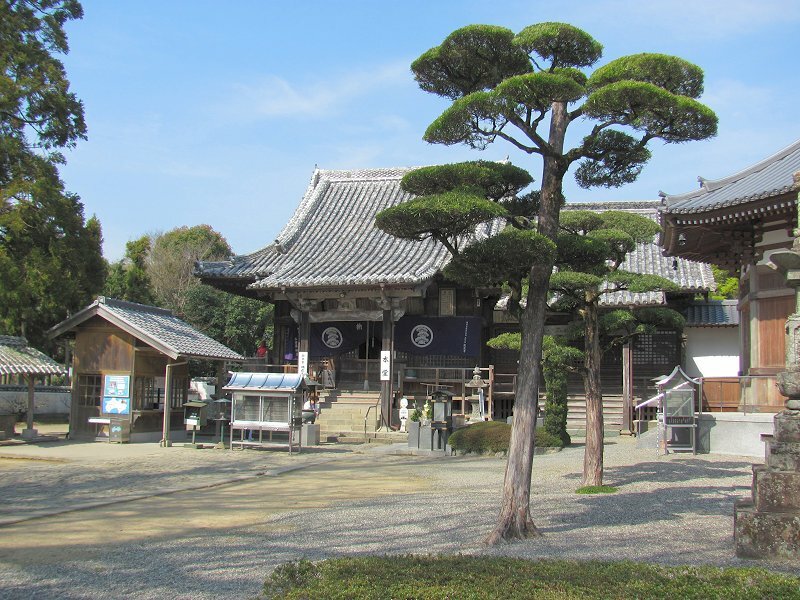 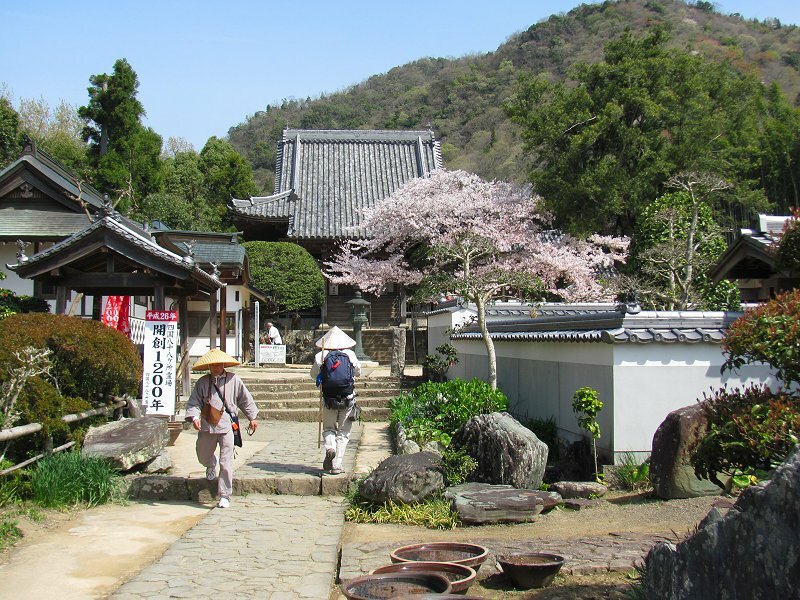 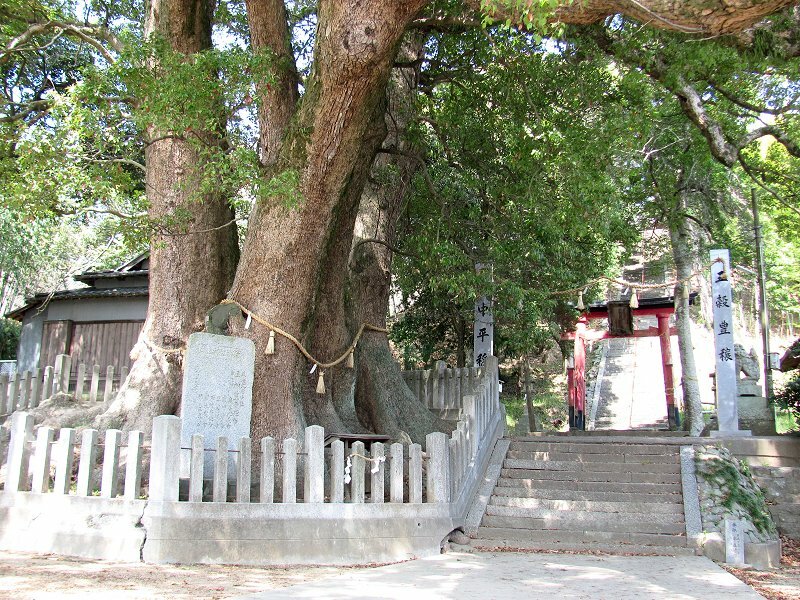 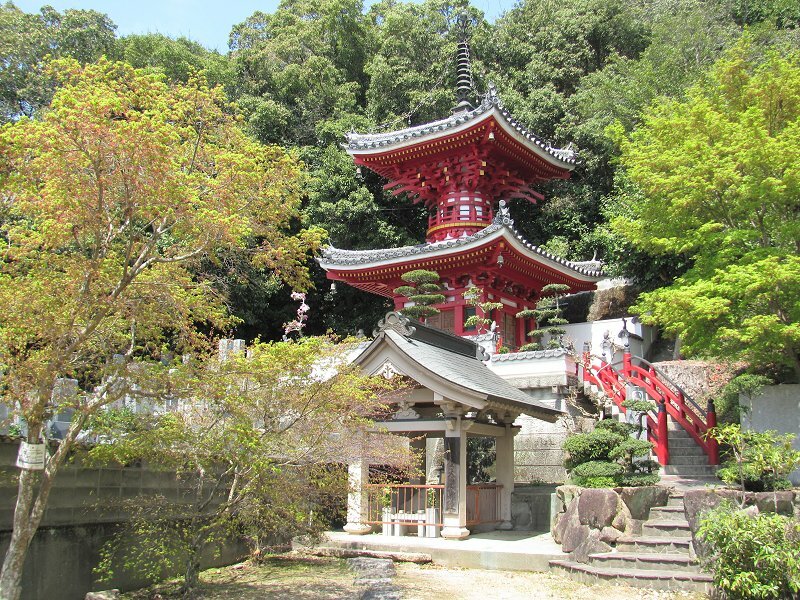 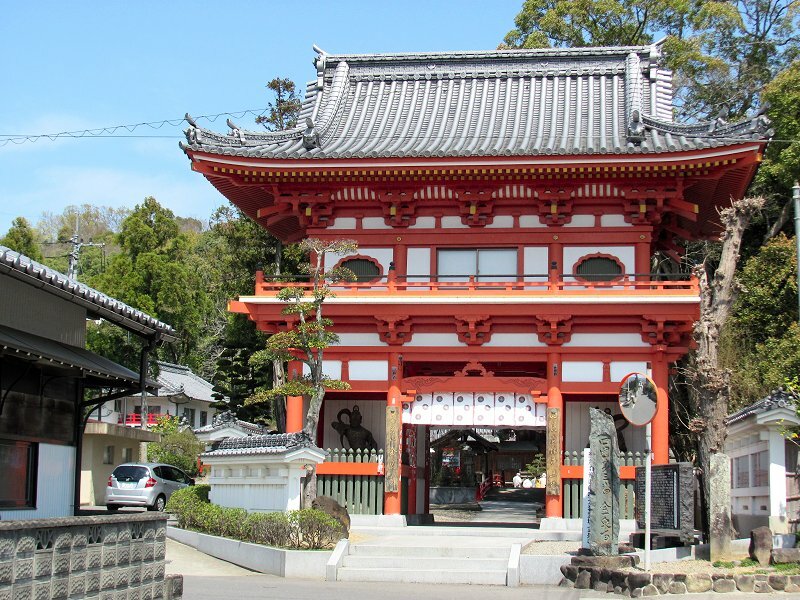 The temple is located toward the head of a small valley, so it's quiet and peaceful here. 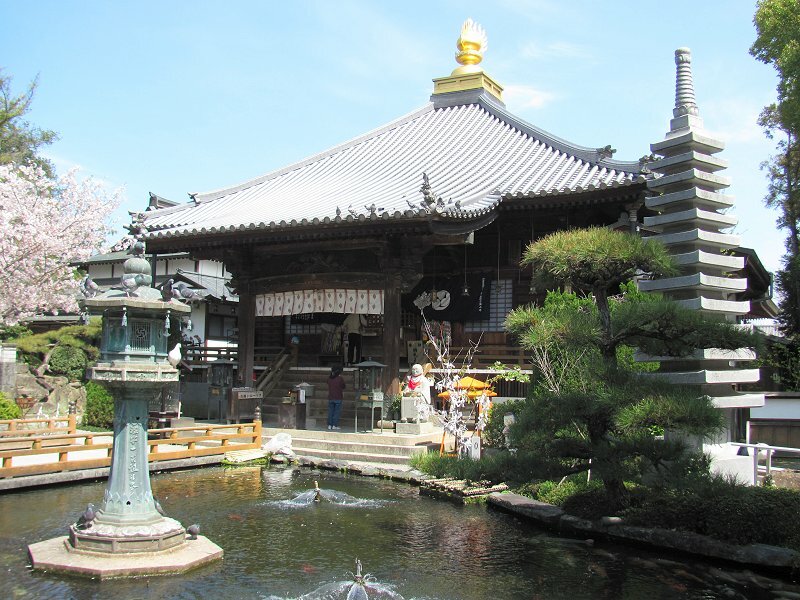 Two henro at Dainichiji. 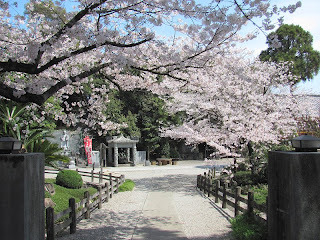 The cherry trees were in bloom in the temple compound. A group of henro chanting at Dainichiji. 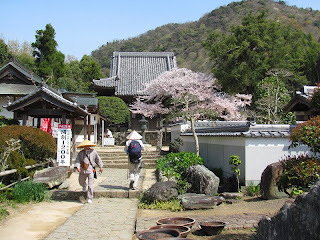 This was a group of "bus henro" traveling between the temples by bus instead of on foot. 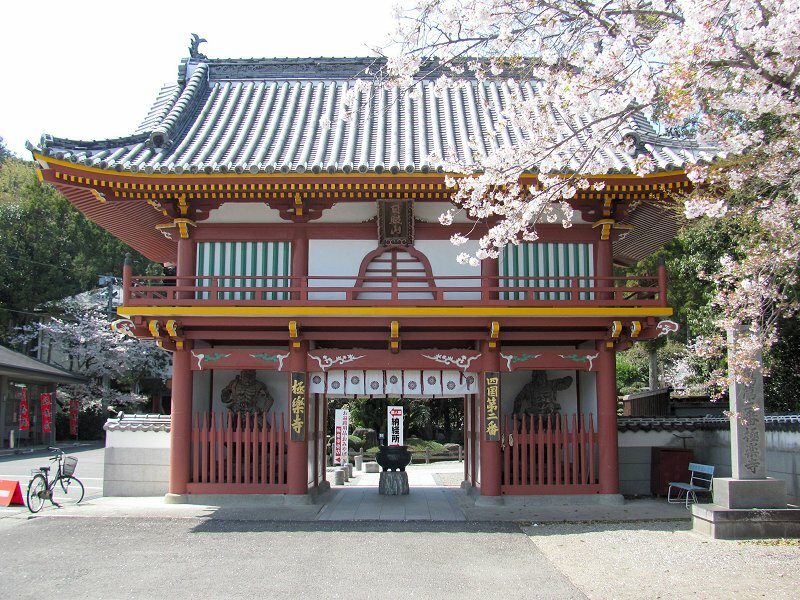 Main gate at Temple 3 (Konsenji). 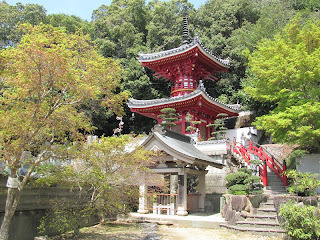 I arrived here around lunchtime and had the temple compound mostly to myself! 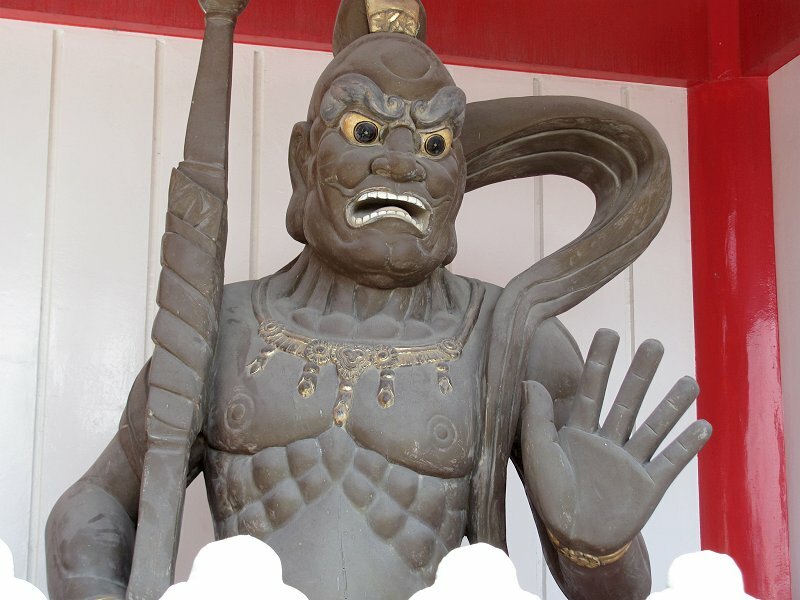 A guardian (a-gyo) at the gate of Konsenji. These statues are known as kongo rikishi and are found in the main gates of most temples. 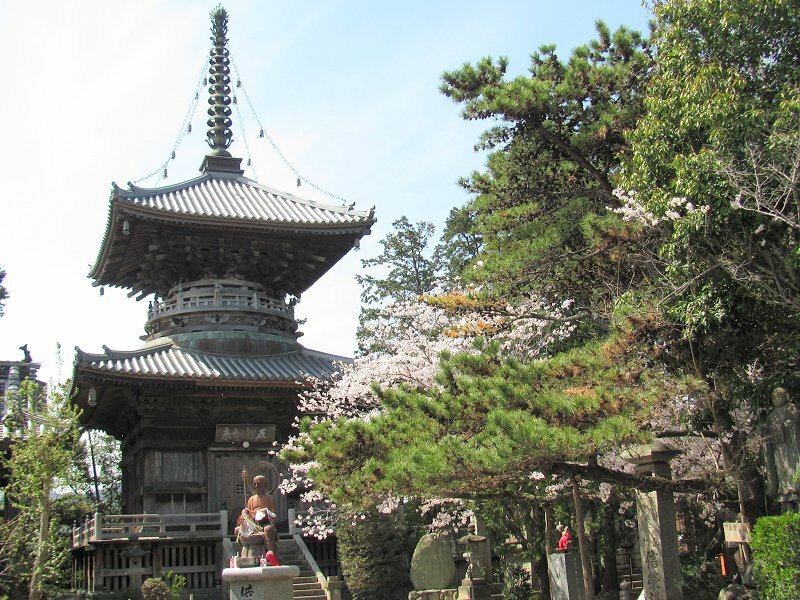 Colorful pagoda behind the main hall at Konsenji. The Daishi Hall at Konsenji. The shrine of Okagami between Dainichiji and Konsenji. 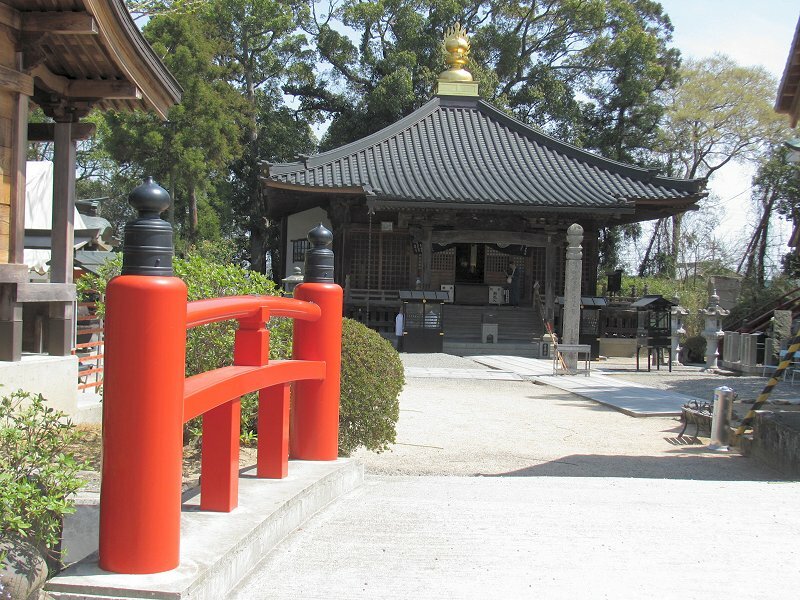 Most of the Shinto shrines I pass are deserted and seem a bit forgotten. 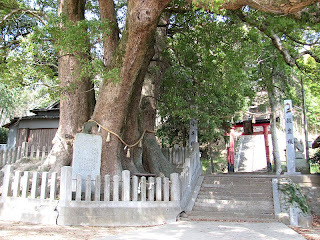 I loved this beautiful, old tree. My mind is thinking of the scenes in Miyazaki's animated film Tonari no Totoro! 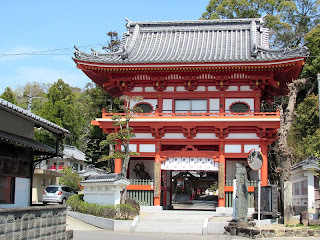 Colorful main gate at Gokurakuji (Temple 2). 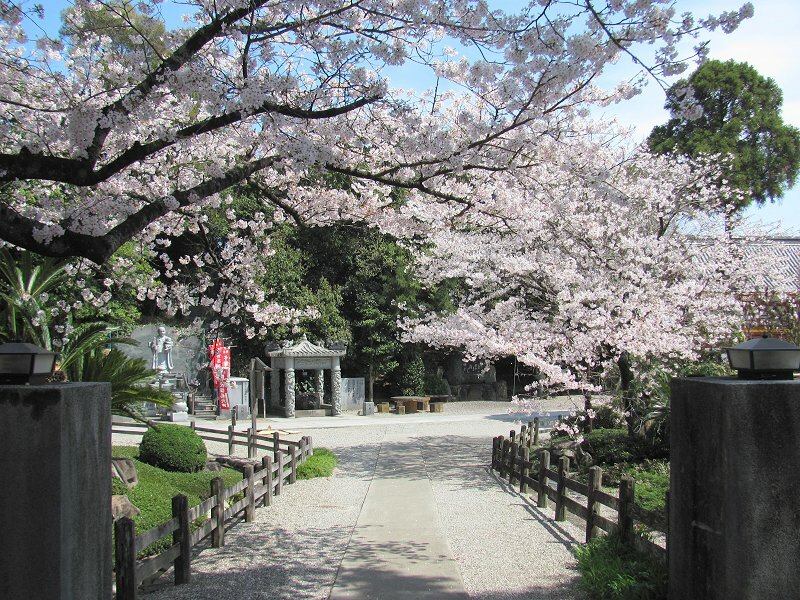 An abundance of sakura (cherry blossoms) at Temple 2 (Gokurakuji) which also boast a beautiful garden. The main gate at Temple 1 (Ryozenji). 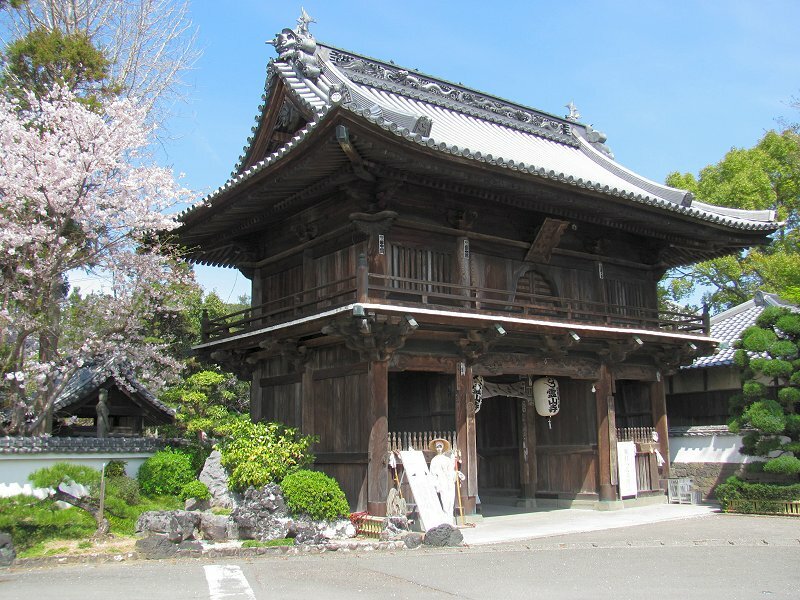 The Daishi Hall at Ryozenji. 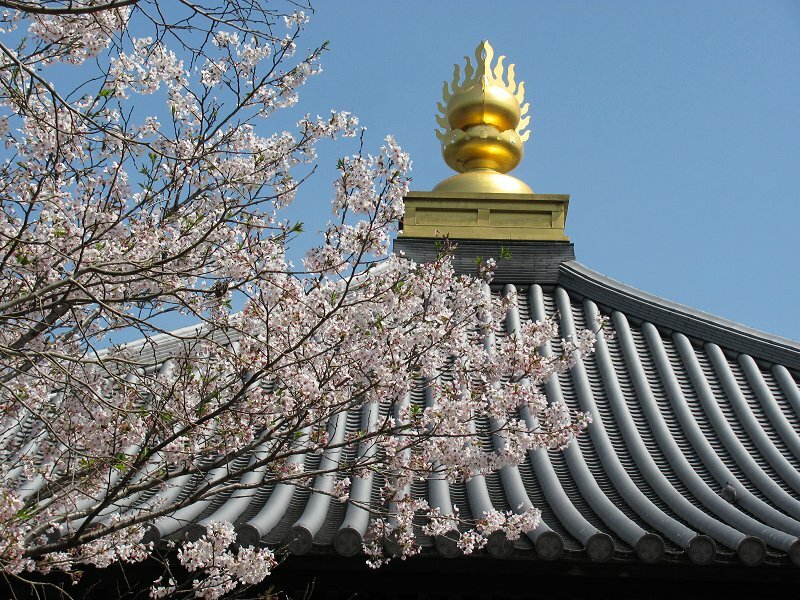 Roof ornament atop the Daishi Hall at Ryozenji. 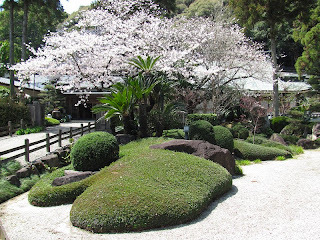 The sakura display was beautiful here as well! 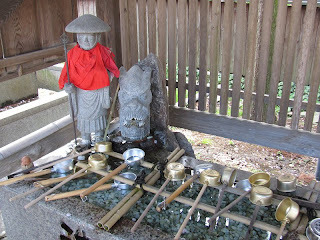 The chozu (wash basin) at Ryozenji. The chozu is used for ritual purification (washing of hands and mouth) before entering the temple compound.